"From the Jungle to a Park: Harmonizing Annotations across Languages"
SPMRL is co-located with IWPT, and there is a single registration for both events. See the IWPT registration page for further information. You can also find more information on accommodation as well as the overall program and IWPT accepted papers. Do Free Word Order Languages Need More Treebank Data? Investigating Dative Alternation in German, English and Russian. Can Distributed Word Embeddings be an Alternative to Costly Linguistic Features: A Study on Parsing Hindi. What is hard in Universal Dependency Parsing? In this talk I will describe my work towards universal representation of morphology and dependency syntax in treebanks of various languages. Not only is such harmonization advantageous for linguists-users of corpora, it is also a prerequisite for cross-language parser adaptation techniques such as delexicalized parsing. I will present Interset, an interlingua-like tool to translate morphosyntactic representations between tagsets; I will also show how the features from Interset are used in a recent framework called Universal Dependencies. Some experiments with delexicalized parsing on harmonized data will be presented. Finally, I will discuss the extent to which various morphological features are important in the context of statistical dependency parsing. 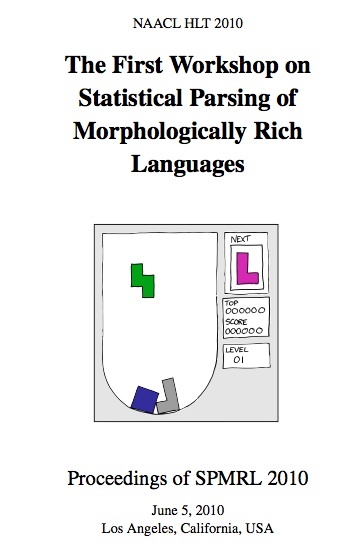 In this presentation, we will present the outcomes on the two shared tasks on statistical parsing of morphologically rich languages held in 2013 and 2014. The task features data sets from nine languages (Arabic, Basque, French, German, Hebrew, Hungarian, Korean, Polish and Swedish), each available both in constituency and dependency annotation. Large unlabeled data sets were also made available in different forms (tagged, parsed, with morph analysis), in the hope of boosting semi-supervised methods for MRL parsing. We report on the preparation of the data sets, on the proposed parsing scenarios, and on the evaluation metrics for parsing MRLs given different representation types. We present and analyze parsing results obtained by the task participants, and then provide an analysis and comparison of the parsers across languages and frameworks, reported for gold input as well as more realistic parsing scenarios. Both shared tasks saw submissions from 20 teams. The parsing results were obtained in different input scenarios (gold, predicted, and raw) and evaluated using different protocols (cross-framework, cross-scenario, and cross-language). In particular, this was the first time a multilingual evaluation campaign reports on the execution of parsers in realistic, morphologically ambiguous, settings. Interestingly, the SPRML data set has spread beyond its initial circle of interest and is now used as a common benchmark for constituent parsing as well as realistic dependency parsing evaluation. 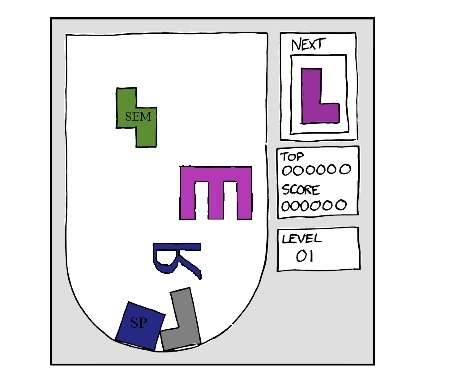 10:00 Parsing German: How Much Morphology Do We Need? 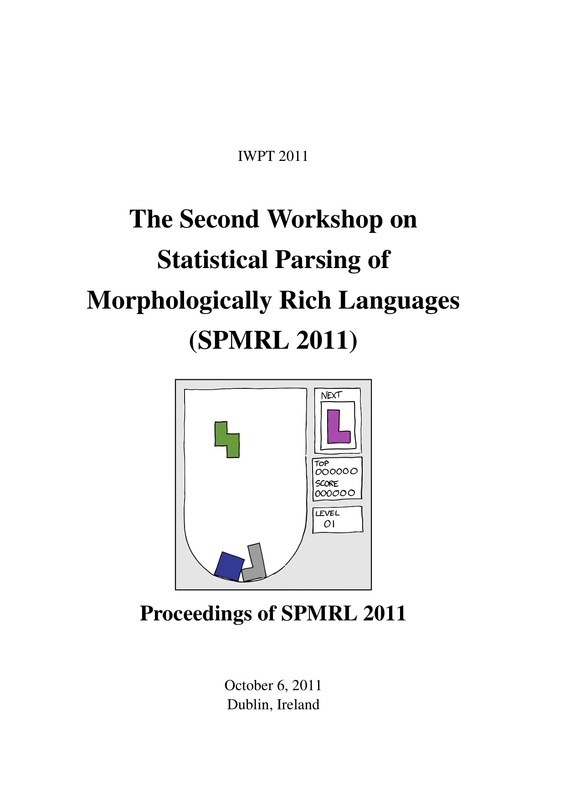 SPMRL-SANCL 2014 will feature a shared task on semi-supervised parsing morphologically rich languages. Currently this page contains only preliminary information. Please watch this space for updates. The SANCL special track will be part of the joint SPMRL-SANCL 2014 - Statistical Parsing of Morphologically Rich Languages and Syntactic Analysis of Non-Canonical Languages"
SPMRL 2013 will feature a shared task on parsing morphologically rich languages. Created using pelican and a variation on the «notmyidea-cms» theme, a modified version of «notmyidea», the default theme.